About the Wine: The Gregory Graham 2015 Windrem Vineyard Sauvignon Blanc is made from 100% Sauvignon Blanc grapes harvested from Graham’s estate vineyard, Windrem Vineyard, located in the newly recognized Big Hills AVA of Lake County, California. The grapes were hand-harvested then gently pressed into small stainless steel tanks, with 20% fermenting in neutral French oak barrels. Flavor Profile: Twist off the cap and enjoy the sweet aroma of crisp green apples, white peaches, and nectar. The Gregory Graham 2015 Windrem Vineyard Sauvignon Blanc is near clear on the pour, settling into a warm glow of a yellow in the glass. Initial aromas are of white or light-pink-petaled flower perfume (like peonies or sweet peas); stone fruits (think white nectarines and white peaches); with just the thinnest line of acid riding through. Swirl, and that acid awakens the fruit and floral aromas, adding to it some kiwi and fresh cut green grass. The palate of the Gregory Graham 2015 Windrem Vineyard Sauvignon Blanc will surprise you — it is so smooth. Though this wine is not at all sweet, there’s a constant undercurrent of nectar essence. Dominant flavors are of stone fruits (listed above), a hint of milkiness, pollen, green leaves, and dandelions. There’s the slightest tingle on the gums at the finish, with an aftertaste that just sings of a spring time garden. This is truly one of the best balances of fruit and floral in a Sauvignon Blanc I’ve experienced in recent memory. Food Pairing: I paired the Gregory Graham 2015 Windrem Vineyard Sauvignon Blanc with a grilled swordfish, coconut rice, mango salsa, topped with a green onion-curry sauce. Loved this pairing. The smooth texture of the wine along with its innate freshness did well to counterbalance the soft but meaty texture of the swordfish. Meanwhile, the cilantro, green onion, and hint of curry seasoning brought out the green grass in that garden scene in my mouth. And the minute hint of spice — both in the salsa and in the sauce — let the floral elements stand out on their own and provide a purpose to this pairing. I would absolutely pair this wine with this dish again. More Info: I purchased the Gregory Graham 2015 Windrem Vineyard Sauvignon Blanc at Gregory’s Kelseyville winery and tasting room. (Price: $20). For more information about Gregory Graham and to purchase wines directly, please visit the Gregory Graham website. 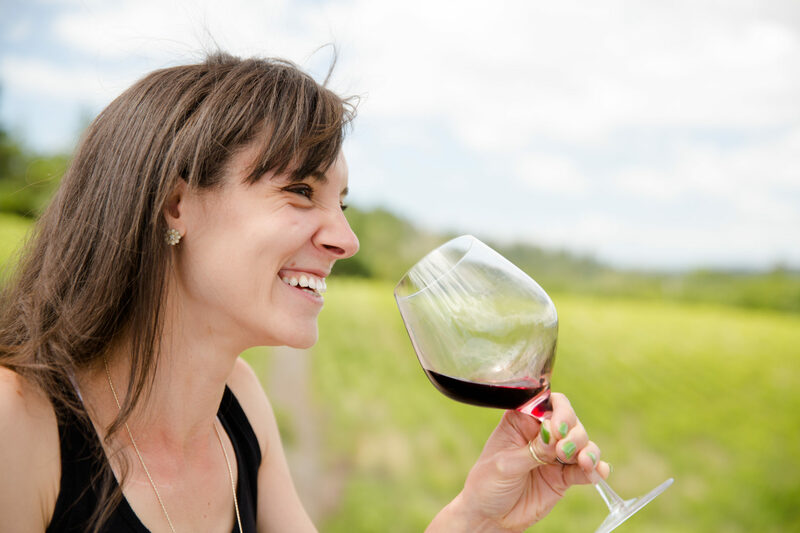 To learn more about Lake County, please read my article published in the SF Chronicle: Boutique wineries drawn to Lake County’s local flavor.